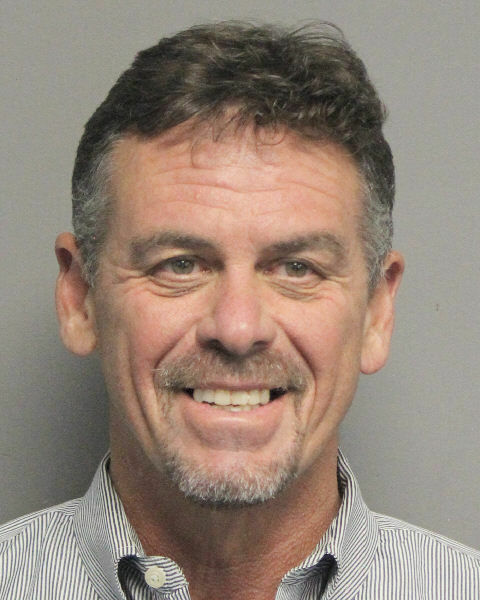 St. Charles Parish President Larry Cochran claims he was not impaired when he was pulled over by police while driving in Kenner last month and that he has prescriptions for the drugs found in his system afterward, his attorney said Thursday. 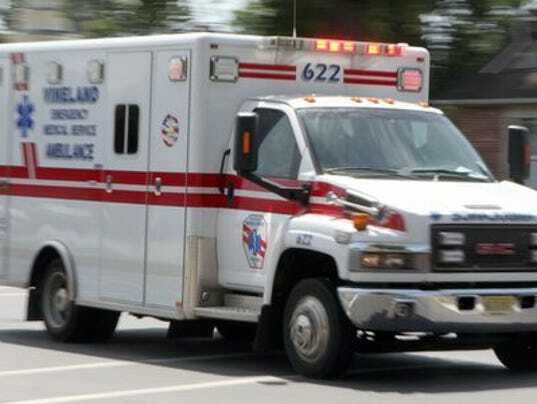 The lawyer, Wiley Beevers, said that Cochran likely appeared unsteady during a field sobriety test at the time of his arrest because of a childhood surgery in which he had a benign tumor removed from his right ear. The surgery has affected his balance to this day, said Beevers, who provided a doctor’s note explaining the surgery. For weeks, Cochran has been under pressure from other parish officials to explain his arrest. He was pulled over the morning of Sept. 2, and while he had no detectable alcohol in his system he tested positive for a combination of prescription pain killers. Beevers said Cochran is prepared to prove that he has valid prescriptions for both oxycodone and hydrocodone, drugs commonly sold as Oxycontin and Vicodin, although he did not provide the documentation Thursday. A third drug found in Cochran’s system, oxymorphone, is a byproduct of the oxycodone and not a separate drug, Beevers said. He said Cochran has undergone a half-dozen recent medical procedures — including multiple surgeries — for problems with his hands, shoulder, back and urinary tract. Cochran, nonetheless, had not taken either medication for several days before he was pulled over, Beevers said. Kenner police have said Cochran was pulled over about 12:30 a.m. after a witness called to report a Chevy Tahoe with a public license plate was “swerving all over the roadway” and even driving into the neutral ground on Joe Yenni Boulevard in north Kenner. An officer pulled the vehicle over on Cabernet Drive, near the home of Cochran’s secretary. Police said Cochran performed poorly on a field sobriety test and that he displayed bloodshot, glossy eyes and slow speech. Cochran showed a blood-alcohol content of .00 on what is commonly referred to as the Breathalyzer test; the legal limit is .08 percent. But police said he bit off the mouthpiece on the testing machine when he first tried to take it. Suspecting he was impaired by drugs, they drew his blood and booked him on counts of driving under the influence and reckless operation of a motor vehicle. Cochran was released from jail shortly after his arrest because of overcrowding. Police publicly released the blood test results last week. Beevers on Thursday hinted at other aspects of the defense he may present for Cochran if the case goes to trial. He also said Cochran’s car was stopped on the side of the street when police initiated the traffic stop because the parish president was worried he was being followed. At least one Parish Council member previously said he wanted Cochran to make a statement about the drugs found by the blood test. Cochran was elected parish president in November 2015, succeeding V.J. St. Pierre. He had previously served as the Parish Council chairman. A preliminary hearing in his case is scheduled for Dec. 4 at 1st Jefferson Parish Court in Metairie. Prosecutors had not filed charges against him as of Thursday. Driver who’s called a ‘clear danger’ gets maximum prison sentenceBy Melinda Miller | Published October 26, 2017 | Updated October 26, 2017SHARE TWEET His second arrest for driving while high cost Maxamillion Hernandez dearly on Thursday when he was sentenced to 1 3/4 to four years in prison on his conviction for vehicular assault.On May 10, 2016, Hernandez, 22, drove his speeding car through a red light in the Town of Tonawanda when he was in a chase with another vehicle. His car T-boned a taxicab on River Road, seriously injuring a passenger and also harming the driver.He also told investigators he had smoked pot earlier in the day.While Hernandez was free and awaiting resolution of the felony charges against him in that case, he was arrested on Aug. 16, 2016, while driving on Route 400 in West Seneca, and charged with driving while impaired.“So,” Erie County Judge Sheila A. DiTullio said to Hernandez on Thursday, “you have one case pending where people were seriously injured, and three months later you are arrested for the same thing again. “You drive when you are high a lot,” she said bluntly.Assistant District Attorney Christopher McCarthy said neither victim wanted to come to court to give a statement, but that they trusted the court to deliver a fair sentence. He also reminded the judge that one of the victims suffered a severe head injury and fractures to his leg and ribs, preventing him from working for some time.For the defense, attorney Sean Hill made a lengthy appeal for the judge to consider the “brief period of incarceration” recommended in a pre-sentencing report for Hernandez, possibly ordered him to spend weekends in jail so he could continue attending Erie Community College.He pointed out that video of the injury crash showed that Hernandez braked when he saw the other car, that he stayed at the scene and that he and his passenger tried to help the people in the taxicab.But Hernandez’s continued use of drugs, even after both arrests and counseling, was too much for the judge.“You’re just a clear danger and a threat to others on the road,” she said, before pronouncing the maximum sentence allowed for vehicular assault in the second degree, a Class E felony. A one-year sentence for his conviction for the second arrest will run concurrently. Perhaps someday our society will evolve to the point where an innocent little chicken can cross the road without it’s motives being questioned. Arthur Lopez, 34, is accused of driving while intoxicated.An off-duty San Antonio police officer was arrested on suspicion of drunk driving after he went the wrong way down a one-way street and caused a collision, officials said.Witnesses identified the officer, Arthur Lopez, 34, as the driver of a silver pickup that was involved in a crash near Market and Navarro streets, authorities said. Police said they believe Lopez was traveling the wrong direction on Navarro, a one-way street, and caused the crash.Lopez allegedly exhibited six signs of intoxication, including a strong odor of alcohol and bloodshot eyes. Lopez allegedly swayed during a sobriety test officers administered at the scene. Lopez refused other sobriety tests and a warrant for a blood draw was applied, according to the release.He was booked into Bexar County Jail on a $1,000 on suspicion of driving while intoxicated.